F. Amarena, G. Chicco, N. Neyestani, M. Y. Damavandi, and J. P. S. Catalao, “Location of parking lots for plug-in electric vehicles considering traffic model and market participation,” in 2017 IEEE Manchester PowerTech, Powertech 2017, 2017. I. Araújo, C. Pimentel, R. Godina, and J. C. O. Matias, “Internal Logistics System Selection with Total Cost of Ownership Analysis,” in IOP Conference Series: Materials Science and Engineering, 2017, vol. 212. S. Bahramara, M. Y. Damavandi, M. Shafie-Khah, J. Contreras, and J. P. S. Catalao, “Modeling strategic behavior of distribution company in wholesale energy and reserve markets,” in 2017 IEEE Manchester PowerTech, Powertech 2017, 2017. R. Bajool, M. Shafie-Khah, A. S. Gazafroudi, and J. P. S. Catalao, “Mitigation of active and reactive demand response mismatches through reactive power control considering static load modeling in distribution grids,” in 1st Annual IEEE Conference on Control Technology and Applications, CCTA 2017, 2017, vol. 2017-January, pp. 1637-1642. A. Burov and V. Nikonov, “Dynamics of a compound celestial body and a massive point, subjected mutual attraction,” in Procedia Engineering, 2017, vol. 199, pp. 759-764. A. A. Burov, A. D. Guerman, I. I. Kosenko, and V. I. Nikonov, “Tethered spacecraft in an asteroid gravitational environment,” in Proceedings of the International Astronautical Congress, IAC, 2017, vol. 16, pp. 10814-10825. A. A. Burov, A. D. Guerman, I. I. Kosenko, and V. I. Nikonov, “Dynamics of a massive point about a uniformly rotating, two-lobe celestial body,” in Advances in the Astronautical Sciences, 2017, vol. 161, pp. 165-179. D. G. Carrilho, P. D. Silva, L. C. Pires, P. D. Gaspar, and J. Nunes, “Quantification of the thermal resistance variation in evaporators surface due to ice formation,” in Energy Procedia, 2017, vol. 142, pp. 4151-4156. D. A. Coelho and P. D. Silva, “Thermal sensation assessment by young Portuguese adults in controlled settings,” in Occupational Safety and Hygiene V – Proceedings of the International Symposium on Occupational Safety and Hygiene, SHO 2017, 2017, pp. 81-86. M. R. M. Cruz, S. F. Santos, D. Z. Fitiwi, and J. P. S. Catalão, “Coordinated distribution network reconfiguration and distributed generation allocation via genetic algorithm,” in Conference Proceedings – 2017 17th IEEE International Conference on Environment and Electrical Engineering and 2017 1st IEEE Industrial and Commercial Power Systems Europe, EEEIC / I and CPS Europe 2017, 2017. M. Y. Damavandi, N. Neyestani, S. Bahramara, M. Shafie-Khah, and J. P. S. Catalao, “Modeling the cross impact of multi-energy player’s price equilibrium in retail and wholesale markets,” in 2017 IEEE Manchester PowerTech, Powertech 2017, 2017. M. Y. Damavandi, N. Neyestani, M. Shafie-Khan, G. Chicco, and J. P. S. Catalão, “Assessing the effectiveness of decision making frameworks in local energy systems,” in Proceedings – 2017 International Conference on Modern Power Systems, MPS 2017, 2017. F. V. Dantas, D. Z. Fitiwi, S. F. Santos, and J. P. S. Catalão, “Dynamic reconfiguration of distribution network systems: A key flexibility option for RES integration,” in Conference Proceedings – 2017 17th IEEE International Conference on Environment and Electrical Engineering and 2017 1st IEEE Industrial and Commercial Power Systems Europe, EEEIC / I and CPS Europe 2017, 2017. C. B. Delgado, P. D. Silva, L. C. Pires, and P. D. Gaspar, “Experimental study and numerical simulation of the interior flow in a telecommunications cabinet,” in Energy Procedia, 2017, vol. 142, pp. 3096-3101. O. Erdinc, A. Tascikaraoglu, Y. Eren, N. G. Paterakis, M. Gibescu, and J. P. S. Catalao, “The role of residential HVAC units in demand side flexibility considering end-user comfort,” in Proceedings – 2016 51st International Universities Power Engineering Conference, UPEC 2016, 2017, vol. 2017-January, pp. 1-6. O. Erdinc, A. Tascikaraoglu, N. G. Paterakis, and J. P. S. Catalao, “An energy credit based incentive mechanism for the direct load control of residential HVAC systems incorporation in day-ahead planning,” in 2017 IEEE Manchester PowerTech, Powertech 2017, 2017. A. Espírito-Santo, P. Sérra, S. Albuquerque, B. Ribeiro, F. Santos, and J. Páscoa, “Low-power smart sensing in energy and water systems integration,” in 2017 IEEE International Workshop on Measurement and Networking, M and N 2017 – Proceedings, 2017. P. A. Figueiredo and F. M. Brójo, “Theoretical analysis of ammonium-perchlorate based composite propellants containing small size particles of boron,” in Energy Procedia, 2017, vol. 136, pp. 202-207. P. A. Figueiredo and F. M. Brójo, “Parametric study of multicomponent mooring lines at catenary form in terms of anchoring cost,” in Energy Procedia, 2017, vol. 136, pp. 456-462. D. Z. Fitiwi, S. F. Santos, C. M. P. Cabrita, and J. P. S. Catalao, “Stochastic mathematical model for high penetration of renewable energy sources in distribution systems,” in 2017 IEEE Manchester PowerTech, Powertech 2017, 2017. T. S. Garcia, M. Shafie-Khah, G. J. Osório, and J. P. S. Catalão, “Optimal bidding strategy of responsive demands in a new decentralized market-based scheme,” in Conference Proceedings – 2017 17th IEEE International Conference on Environment and Electrical Engineering and 2017 1st IEEE Industrial and Commercial Power Systems Europe, EEEIC / I and CPS Europe 2017, 2017. R. Godina, E. M. G. Rodrigues, J. C. O. Matias, and J. P. S. Catalão, “EV charging scheduler for overloading prevention of a distribution transformer supplying a factory,” in Proceedings – 2016 51st International Universities Power Engineering Conference, UPEC 2016, 2017, vol. 2017-January, pp. 1-6. R. Godina, E. M. G. Rodrigues, J. C. O. Matias, and J. P. S. Catalão, “Weekend charging impact of EVs on a residential distribution transformer in a Portuguese Island,” in Proceedings – 2016 51st International Universities Power Engineering Conference, UPEC 2016, 2017, vol. 2017-January, pp. 1-6. R. Godina, E. M. G. Rodrigues, E. Pouresmaeil, and J. P. S. Catalão, “Hybrid time triggered protocol for home wireless communications,” in Conference Proceedings – 2017 17th IEEE International Conference on Environment and Electrical Engineering and 2017 1st IEEE Industrial and Commercial Power Systems Europe, EEEIC / I and CPS Europe 2017, 2017. R. Godina, E. M. G. Rodrigues, E. Pouresmaeil, and J. P. S. Catalão, “Simulation study of a photovoltaic cell with increasing levels of model complexity,” in Conference Proceedings – 2017 17th IEEE International Conference on Environment and Electrical Engineering and 2017 1st IEEE Industrial and Commercial Power Systems Europe, EEEIC / I and CPS Europe 2017, 2017. R. Godina, E. M. G. Rodrigues, E. Pouresmaeil, and J. P. S. Catalão, “Home HVAC energy management and optimization with model predictive control,” in Conference Proceedings – 2017 17th IEEE International Conference on Environment and Electrical Engineering and 2017 1st IEEE Industrial and Commercial Power Systems Europe, EEEIC / I and CPS Europe 2017, 2017. R. Godina, E. M. G. Rodrigues, E. Pouresmaeil, and J. P. S. Catalão, “Energy optimization strategy with Model Predictive Control and demand response,” in Conference Proceedings – 2017 17th IEEE International Conference on Environment and Electrical Engineering and 2017 1st IEEE Industrial and Commercial Power Systems Europe, EEEIC / I and CPS Europe 2017, 2017. J. N. D. L. Gonçalves, G. J. Osório, J. M. Lujano-Rojas, T. D. P. Mendes, and J. P. S. Catalão, “DEEPSO to predict wind power and electricity market prices series in the short-term,” in Proceedings – 2016 51st International Universities Power Engineering Conference, UPEC 2016, 2017, vol. 2017-January, pp. 1-6. N. Hajibandeh, M. Ehsan, S. Soleymani, M. Shafie-Khah, and J. P. S. Catalão, “Modeling price- and incentive-based demand response strategies in the renewable-based energy markets,” in Conference Proceedings – 2017 17th IEEE International Conference on Environment and Electrical Engineering and 2017 1st IEEE Industrial and Commercial Power Systems Europe, EEEIC / I and CPS Europe 2017, 2017. N. Hajibandeh, M. Shafie-Khah, G. J. Osório, and J. P. S. Catalão, “A new approach for market power detection in renewable-based electricity markets,” in Conference Proceedings – 2017 17th IEEE International Conference on Environment and Electrical Engineering and 2017 1st IEEE Industrial and Commercial Power Systems Europe, EEEIC / I and CPS Europe 2017, 2017. M. L. Lourenço and D. A. Coelho, “Performance evaluation of PC mice,” in Occupational Safety and Hygiene V – Proceedings of the International Symposium on Occupational Safety and Hygiene, SHO 2017, 2017, pp. 157-162. J. M. Lujano-Rojas, R. Dufo-Lopez, J. L. Bernal-Agustin, J. A. Dominguez-Navarro, G. J. Osorio, and J. P. S. Catalao, “Determining the optimal setting of voltage regulators for day-ahead management of distribution smart systems,” in 2017 IEEE Manchester PowerTech, Powertech 2017, 2017. J. M. Lujano-Rojas, G. J. Osorio, and J. P. S. Catalao, “Cycle charging strategy for optimal management of vanadium redox flow batteries connected to isolated systems,” in 2017 IEEE Manchester PowerTech, Powertech 2017, 2017. J. M. Lujano-Rojas, G. J. Osório, T. D. P. Mendes, and J. P. S. Catalão, “Stochastic modeling of lead-acid battery parameters,” in Proceedings – 2016 51st International Universities Power Engineering Conference, UPEC 2016, 2017, vol. 2017-January, pp. 1-5. D. Marra, G. Rizzo, M. Shafie-Khah, P. Siano, and F. A. Tiano, “Vehicle electrification: A further variable toward integrated intelligent energy systems,” in Conference Proceedings – 2017 17th IEEE International Conference on Environment and Electrical Engineering and 2017 1st IEEE Industrial and Commercial Power Systems Europe, EEEIC / I and CPS Europe 2017, 2017. S. M. Martínez, A. H. Escribano, M. C. Carretón, E. G. Lázaro, and J. P. S. Catalão, “Influence of wind power ramp rates in short-time wind power forecast error for highly aggregated capacity,” in Proceedings – 2016 51st International Universities Power Engineering Conference, UPEC 2016, 2017, vol. 2017-January, pp. 1-6. N. Neyestani and J. P. S. Catalao, “The value of reserve for plug-in electric vehicle parking lots,” in 2017 IEEE Manchester PowerTech, Powertech 2017, 2017. N. Neyestani, M. Y. Damavandi, and J. P. S. Catalao, “Pricing G2V/V2G modes through characterizing the PEVs traffic behavior,” in 2017 IEEE Manchester PowerTech, Powertech 2017, 2017. N. Neyestani, M. Y. Damavandi, R. Godina, and J. P. S. Catalão, “Integrating the PEVs’ traffic pattern in parking lots and charging stations in micro multi-energy systems,” in Proceedings – 2016 51st International Universities Power Engineering Conference, UPEC 2016, 2017, vol. 2017-January, pp. 1-6. 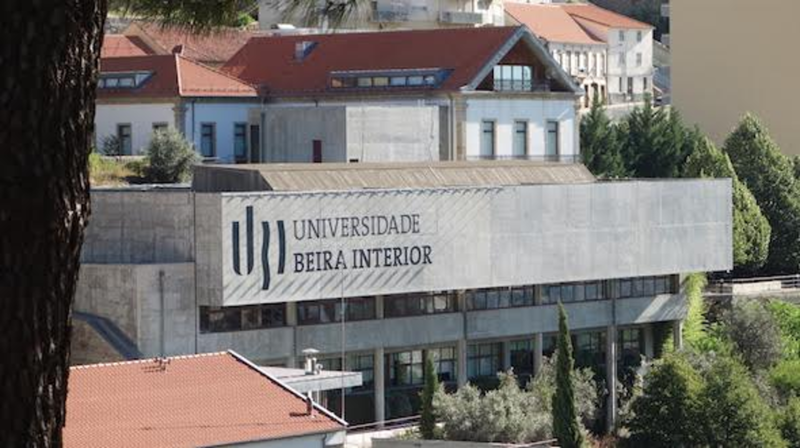 L. J. R. Nunes, J. C. O. Matias, and J. P. S. Catalão, “Characterization of biomass woodchips as fuel for industrial boilers,” in Proceedings – 2016 51st International Universities Power Engineering Conference, UPEC 2016, 2017, vol. 2017-January, pp. 1-4. J. Oliveira and F. Brójo, “Simulation of the combustion of bio-derived fuels in a CFM56-3 combustor,” in 2017 International Conference on Sustainable and Renewable Energy Engineering, ICSREE 2017, 2017, pp. 14-18. M. P. S. Pereira, D. Z. Fitiwi, S. F. Santos, and J. P. S. Catalão, “Managing RES uncertainty and stability issues in distribution systems via energy storage systems and switchable reactive power sources,” in Conference Proceedings – 2017 17th IEEE International Conference on Environment and Electrical Engineering and 2017 1st IEEE Industrial and Commercial Power Systems Europe, EEEIC / I and CPS Europe 2017, 2017. S. Pirouzi, J. Aghaei, M. Shafie-Khah, G. J. Osorio, and J. P. S. Catalao, “Evaluating the security of electrical energy distribution networks in the presence of electric vehicles,” in 2017 IEEE Manchester PowerTech, Powertech 2017, 2017. M. F. Ribeiro, M. Shafie-Khah, G. J. Osório, N. Hajibandeh, and J. P. S. Catalão, “Optimal demand response scheme for power systems including renewable energy resources considering system reliability and air pollution,” in Conference Proceedings – 2017 17th IEEE International Conference on Environment and Electrical Engineering and 2017 1st IEEE Industrial and Commercial Power Systems Europe, EEEIC / I and CPS Europe 2017, 2017. E. Rodrigues, I. Miranda, N. Silva, and H. Leite, “Optimal recloser deployment to leverage self-healing: A techno-economic robustness assessment,” in CIRED – Open Access Proceedings Journal, 2017, vol. 2017, pp. 2467-2470. E. M. G. Rodrigues, R. Godina, E. Pouresmaeil, and J. P. S. Catalão, “Modified Newton type algorithm-based frequency and phase estimation technique in harmonics-polluted grid,” in Conference Proceedings – 2017 17th IEEE International Conference on Environment and Electrical Engineering and 2017 1st IEEE Industrial and Commercial Power Systems Europe, EEEIC / I and CPS Europe 2017, 2017. F. F. Rodrigues, J. C. Pascoa, and M. Trancossi, “Experimental thermal characterization of DBD plasma actuators,” in ASME International Mechanical Engineering Congress and Exposition, Proceedings (IMECE), 2017, vol. 1. J. P. A. E. Santo, R. Godina, E. M. G. Rodrigues, E. Pouresmaeil, and J. P. S. Catalao, “EV charging effect on a distribution transformer supplying a factory with local PV generation,” in 2017 IEEE Manchester PowerTech, Powertech 2017, 2017. M. Shafie-Khah, S. Javadi, P. Siano, and J. P. S. Catalao, “Optimal behavior of smart households facing with both price-based and incentive-based demand response programs,” in 2017 IEEE Manchester PowerTech, Powertech 2017, 2017. M. Shafie-Khah, G. J. Osório, D. Z. Fitiwi, J. P. S. Catalão, and P. Siano, “Risk-based self-scheduling of Gencos in smart grids considering a new method for bilateral contracts,” in Conference Proceedings – 2017 17th IEEE International Conference on Environment and Electrical Engineering and 2017 1st IEEE Industrial and Commercial Power Systems Europe, EEEIC / I and CPS Europe 2017, 2017. J. M. F. Silva, R. Godina, E. M. G. Rodrigues, E. Pouresmaeil, and J. P. S. Catalao, “Residential MPC controller performance in a household with PV microgeneration,” in 2017 IEEE Manchester PowerTech, Powertech 2017, 2017. M. D. B. Silva, G. J. Osório, M. Shafie-Khah, J. M. Lujano-Rojas, and J. P. S. Catalão, “Optimal scheduling strategy in insular grids considering significant share of renewables,” in Conference Proceedings – 2017 17th IEEE International Conference on Environment and Electrical Engineering and 2017 1st IEEE Industrial and Commercial Power Systems Europe, EEEIC / I and CPS Europe 2017, 2017. S. I. Vagropoulos, A. G. Bakirtzis, and J. P. S. Catalao, “An integrated simulation platform for assessing the integration of plug-in electric vehicles in electricity markets,” in 2017 IEEE Manchester PowerTech, Powertech 2017, 2017. Abílio P. Silva, Fernando Booth, Pilar Pena, Carmen Baudín. CaZrO3-MgO multiphase ceramics obtained from natural and pure raw materials. Oral presentation on “ECerS 2017” Conference, July 9-13, 2017, Budapest, Hungary.